In punk circles vinyl tends to be king with good reason. It’s a joy to hold something substantial in your hands, read the liner notes and look at the design. The sound on a good system is also the best you can hear. Warm and rich with all the instruments separated. But the world of music is becoming increasingly streamed and it’s easy to see why. On your phone you have almost every record ever released. I have to admit, as a consumer, I love it. One particular feature on Spotify has been a joy: Discover Weekly. Every week Spotify sends me 30 tracks it thinks I might like: and they are often right. I’ve discovered loads of bands I’d never heard before who I’ve come to enjoy. How does Spotify decide what I might like? When I put a song on a playlist, it looks at the playlists of other people who have added the same song, works out which songs are most common and sends them to me. It works! So much so that the major record companies spend a fortune trying to get people to add songs by their artists to playlists. So -you can really help us if you have Spotify. 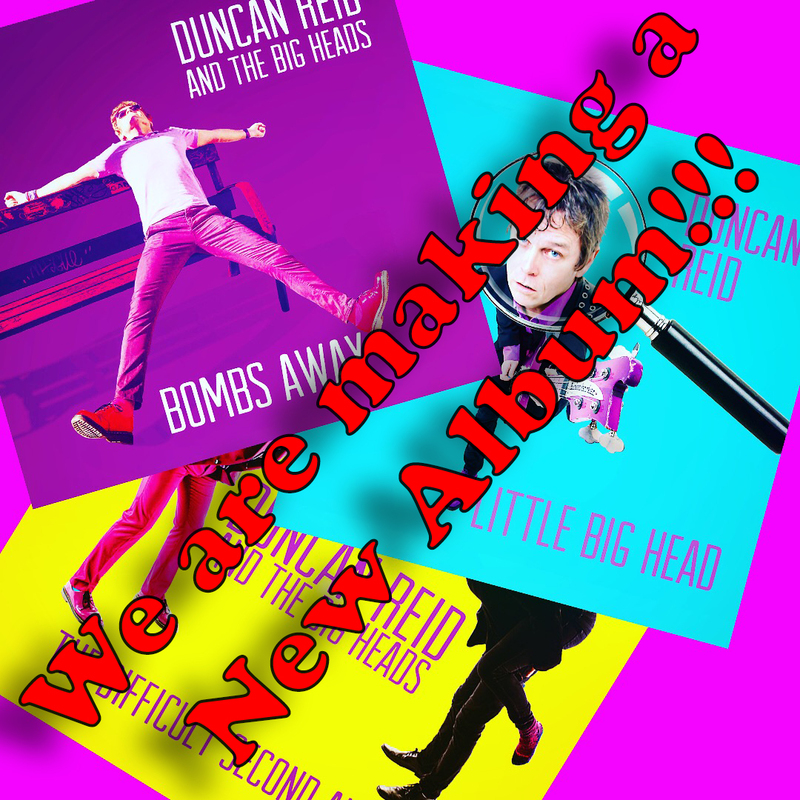 Just start making playlists and, in among the tracks you love, add Duncan Reid and the Big Heads songs. It’s that easy and its really powerful. The more you do it, the more people are likely to have one of our tracks sent to them each Monday when they receive their 30 songs on Discover Weekly. And as an added bonus Discover Weekly will work better and you will be more likely to discover music you didn’t know that you will love. I don’t know if the same thing happens on Apple Music but it’s been such a hit for Spotify I bet they will be using the idea in some way. Moral of the Story: Make playlists and add Duncan Reid and the Big Heads songs (and songs by other bands you love and want to help).